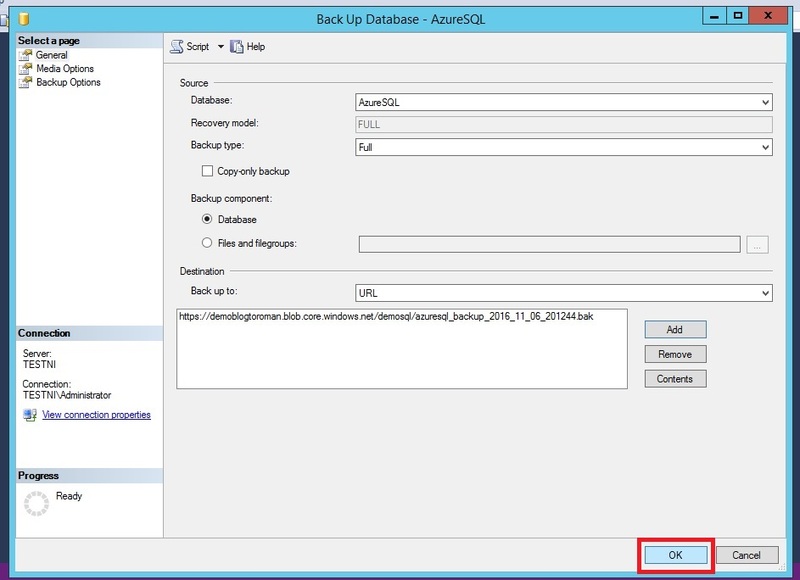 One of most used Azure service is backup. 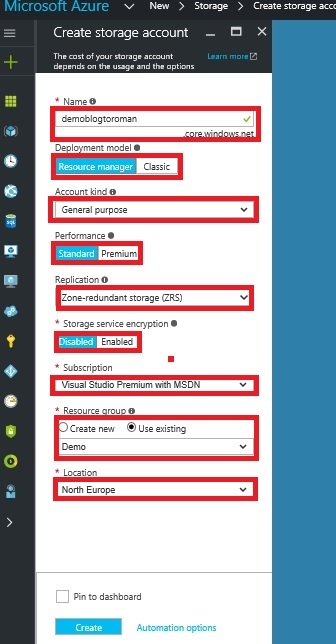 Storage is very cheap in Azure and it gives us option of creating backup very far away from our on-prem environment. 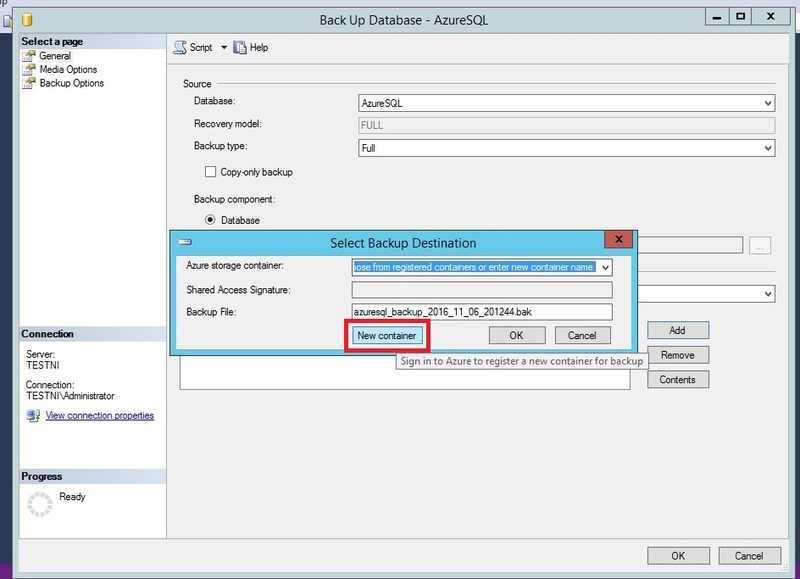 In this post I will cover basics on how to create MS SQL database backup to Azure Storage. 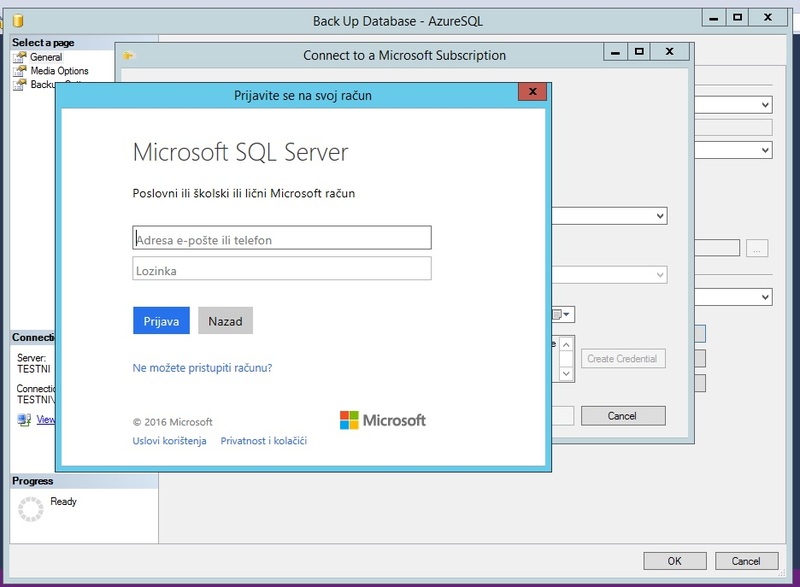 Note that for using this option you need at least SQL Server 2012 SP1 CU2. I recommend using latest version of SSMS. 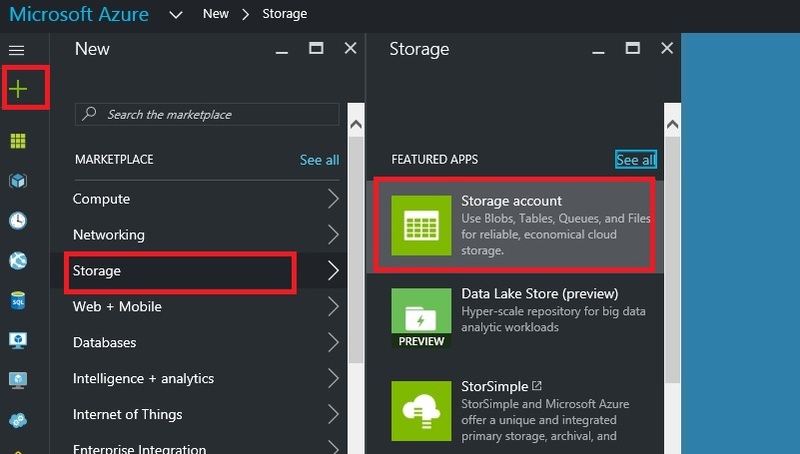 First login to your Azure account and start creating new Storage account. Click ‘New’, select ‘Storage’ and select ‘Storage account’. Now you need to enter deployment information on your Storage account. Enter name, select deployment model, account kind, replication and encryption. Performance should be left at ‘Standard’ as ‘Premium’ is still not supported for SQL backup. 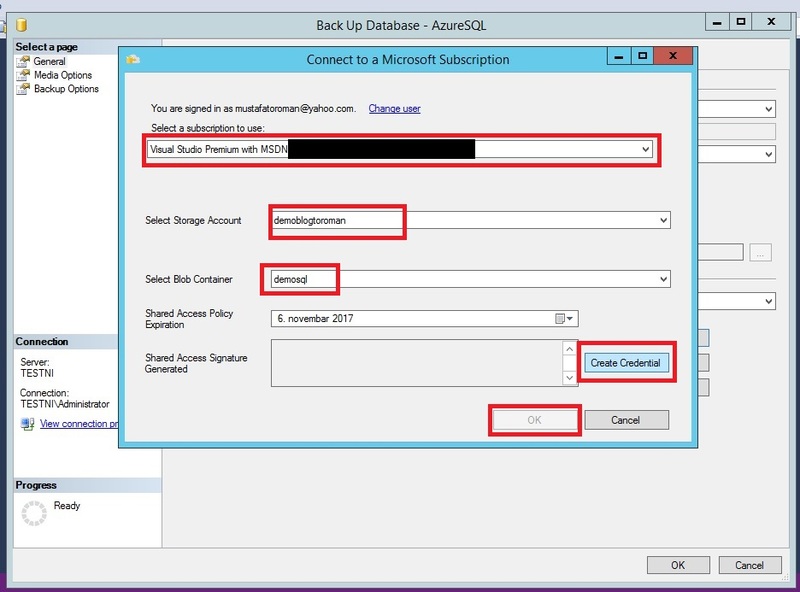 Select subscription you want to use (only if you have multiple subscription, if you have only one, this will be filled out automatically), select resource group (create new or use existing one) and finally select location. Click create and wait for few moments (deployment of new storage account is very fast, usually under 20 seconds). Once deployment is done, go to your storage account and create new container. Enter name for container and select access type. As this container should be used for storing database backups, I recommend that you use private or anyone with link to your container could access your data. Creating new container under Storage account takes only few seconds and once done you should see empty container. 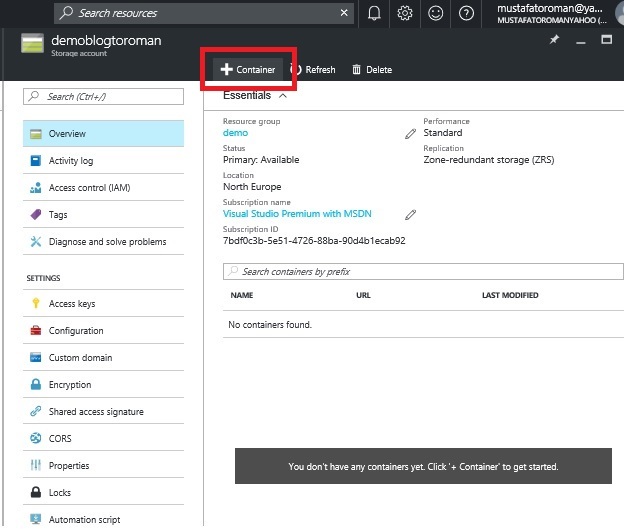 Now go to SSMS and connect to your local MS SQL Server. 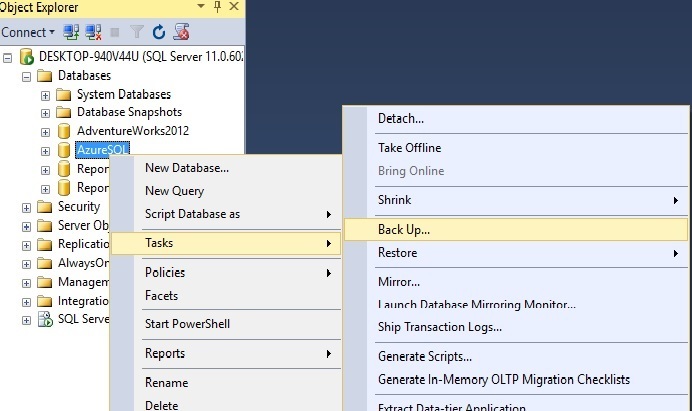 Select database that you want to backup and right click on it. 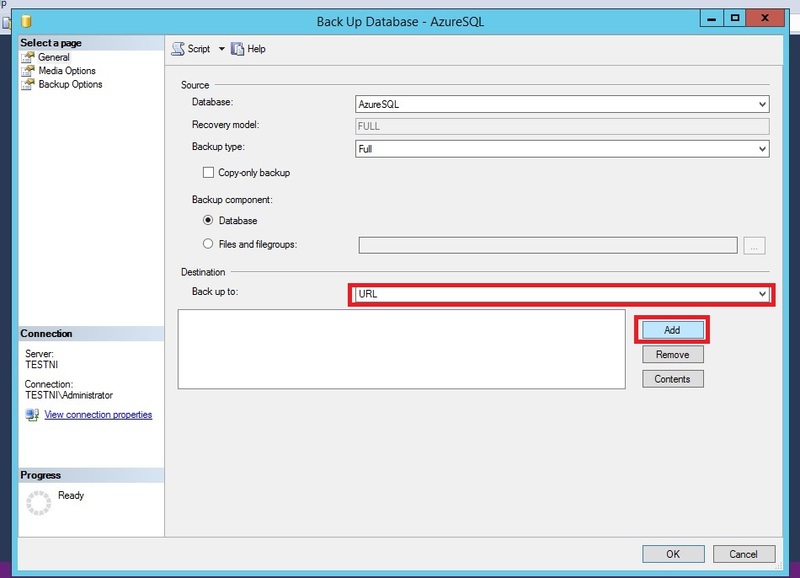 Select ‘Task’ and then click on ‘Back up’. In new window change backup destination to ‘URL’ and click on ‘Add’. 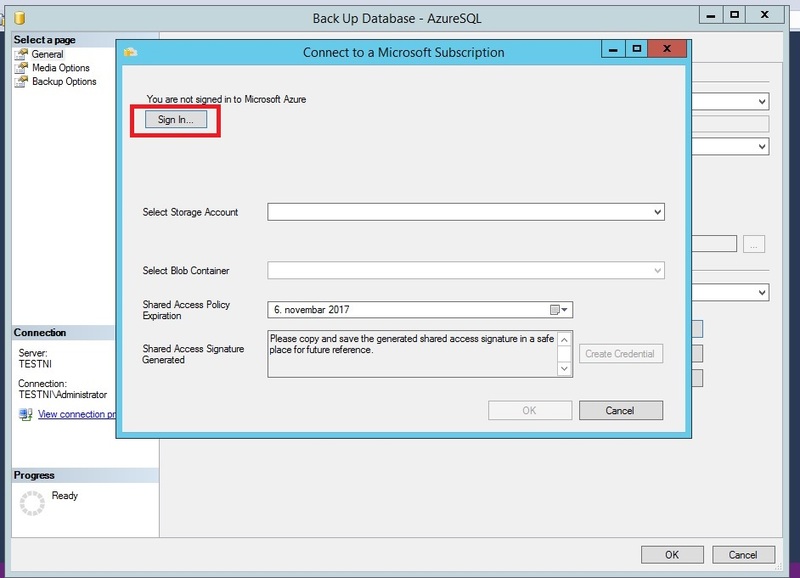 Now you need to sign in to your Azure account. Enter your credentials and click to sign in. Select your Azure storage container and click ‘OK’. Once again, click ‘OK’ and wait for backup to finish. 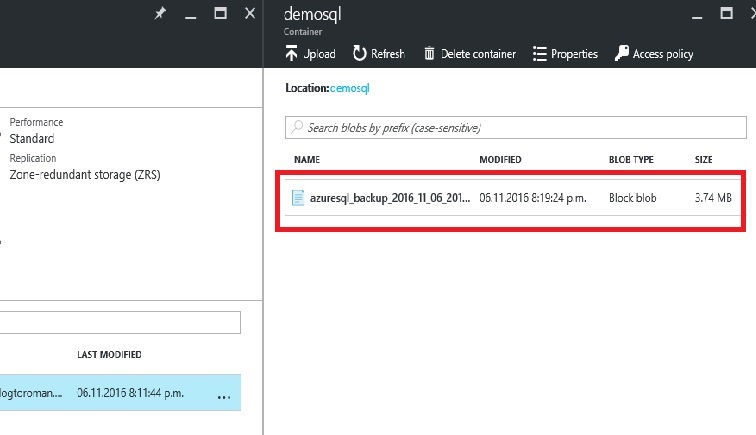 Now go to your Azure account and open Storage account and container you created for this backup. You should see your backup in container. 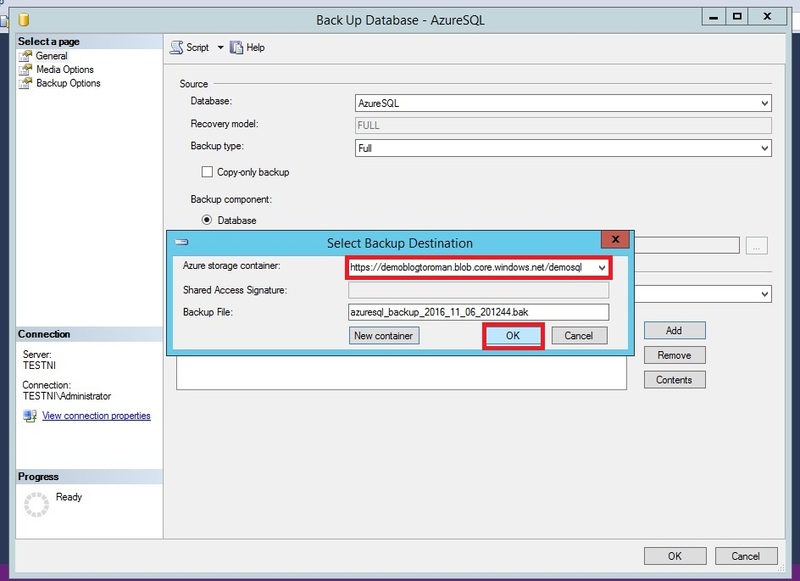 In one of next posts I will cover how to restore database from Azure Storage backup and how to create backup plan to Azure Storage. Spectacular internet site. A lot of practical information and facts. I am mailing it to a couple close friends. And naturally, thanks on the efforts!